South Bend alumni have a new group of leaders to help them celebrate their alma mater and a new name for the alumni organization. Alumni Affairs is now Alumni Relations. The name change brings consistency to all the IU campuses. The new faces bring new leadership, energy and expertise to the team. Before being named director of alumni relations and campus ceremonies, Moira Dyczko, BA'98, was the production coordinator at the Ernestine M. Raclin School of the Arts for 15 years. During her tenure, she came to admire and respect the unique education experience accessible to students at IU South Bend. "IU South Bend offers students opportunities they cannot get in bigger programs," she explained. The new director of alumni relations wants to hear more IU South Bend alumni stories. "I want to spread our wings and serve the broader campus," she explained. "I want to find out what our alumni are doing, and what will bring them back to campus." Through a survey of IU South Bend's alumni, Dyczko hopes to gather information about programming and services that will inspire greater alumni engagement. Working closely with the board, she hopes to initiate more alumni involvement with students and faculty. "The campus has grown so much," she explained. "I want our alumni to come back and see how much it has changed." Dyczko noted alumni will have a special opportunity to re-engage this year at IU South Bend's Jubilee Year celebrations, commemorating 100 years of IU classes being offered in South Bend, 50 years of degrees being conferred at IU South Bend, and 25 years of a unified School of the Arts. "We are planning some special events during Alumni Week in April and commencement in May to celebrate our Jubilee Year," said Dyczko. "It's an opportunity to build excitement and pride on this campus." 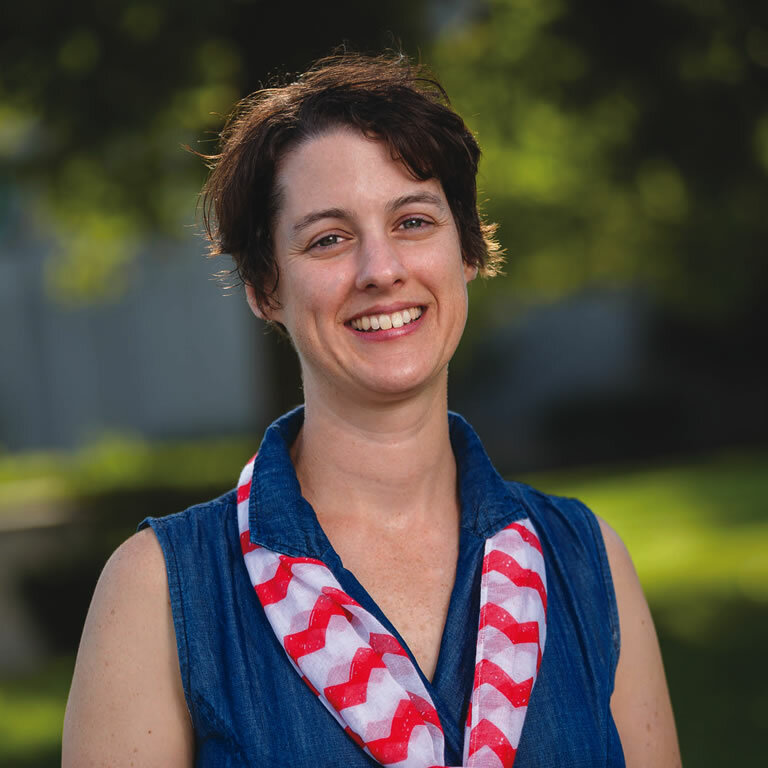 As she reflects on her role as director of alumni relations, Dyczko exudes confidence and excitement about expanding alumni connections with the campus that provide benefits to both IU South Bend and its proud graduates. "Our alumni, many who graduate against all odds, have a lot of pride about their accomplishments and experiences at IU South Bend," she said. "I'm looking forward to tapping into those stories and experiences, and engaging more of our alumni with our students and the campus." Dr. Mallory Jagodzinski, IU South Bend's new assistant director of alumni relations, also loves working with college students. "They help me think of things in new ways and come up with creative solutions," said the Michigan State University (MSU) alumna with a smile. "They also keep me engaged in what's cool." After graduating from MSU, Jagodzinski earned her master's degree in popular culture and her doctoral degree in American Culture Studies at Bowling Green University. With an eye on a career in development, Jagodzinski also pursued a graduate certificate in public history with a concentration in fundraising. An interview with a major gift officer at the Detroit Institute for the Arts for a class project confirmed she was on the right career path. "As I listened to her answers, I thought, 'I can do this,'" Jagodzinski explained. "The next step was an internship at the United Way of Toledo and second internship at the Toledo Museum of Art." In her role in Alumni Relations at IU South Bend, Jagodzinski is focused on discovering what resonates with IU South Bend alumni. "I would like to make sure we are providing programs and services our alumni want and need," she commented. "I want to raise the visibility and engagement of our alumni." In addition to reaching out to alumni, Jagodzinski is also creating and supporting initiatives aimed at building stronger ties to the campus among current students. "Early student exposure to meaningful philanthropic experiences on campus is key to building a strong, involved alumni organization," explained Jagodzinski. "The Student Alumni Association at IU South Bend off ers opportunities for students to get involved in philanthropic activities such as organizing events to raise funds for Titans Feeding Titans, a campus food bank. So after they graduate, they feel a bond to the campus, and they want to come back to connect with students and support IU South Bend." Jagodzinski is pleased to have the opportunity to work together with Director of Alumni Relations Moira Dyczko to grow an even stronger alumni organization at IU South Bend. "We have a chance to create an innovative, dynamic program to reach new alumni populations and increase their involvement and presence on this campus," she said. "It's an exciting time. Emili Sperling Bennett knew she wanted a career in higher education ever since she was in high school. 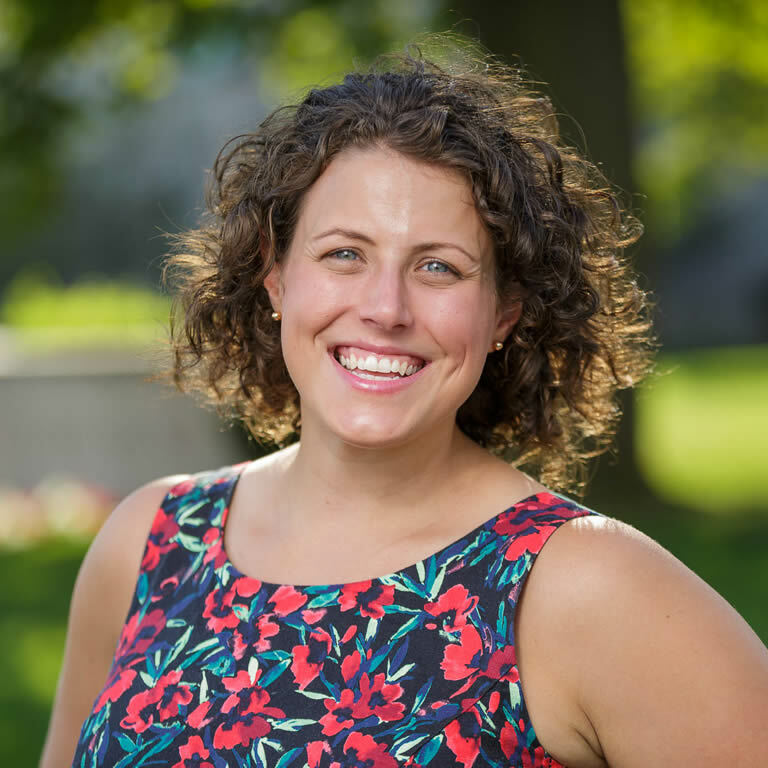 In her new role as the associate director and career coach for Career and Professional Development with the IU Alumni Association, she is helping alumni in northern Indiana and Chicago gain clarity about their professional careers. "Even the most elite Olympic athletes have coaches," said Bennett. "As a career coach, I support all phases of our alumni's careers. It's not just for alumni looking to change jobs, but also for those who want to grow in their current positions and expand their skills." 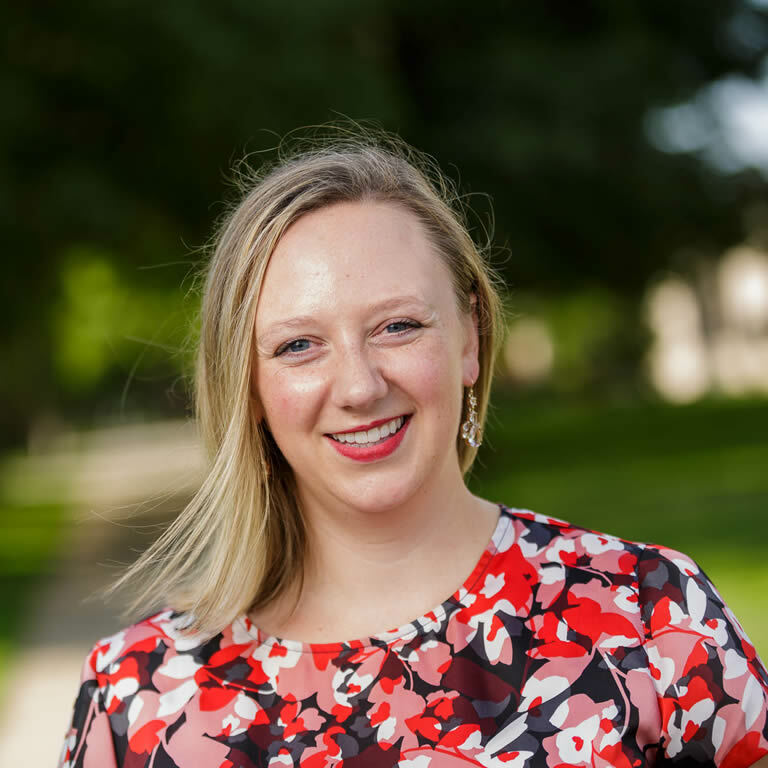 After graduating from IU Bloomington with a degree in Spanish, Bennett worked there as the assistant director of admissions, recruiting students in St. Joseph County to attend the Bloomington campus. Later, she joined the IU Alumni Association, providing transition programming and supplementary career services for Student Alumni Association members. When a survey revealed IU alumni wanted lifetime career services, Bennett was tapped to join the IU Alumni Career Services team. Bennett is a certified Global Career Development Facilitator and a certified interpreter for the Myers–Briggs Type Indicator, the Strong Interest Inventory and Gallup StrengthsFinder 2.0. She is a frequent speaker on career empowerment and professional development. With family in northern Indiana, Bennett negotiated with the IU Alumni Association to be a telecommuter and support alumni in the South Bend and Elkhart area with career services at the IU South Bend Elkhart Center. She also holds offi ce hours at IU's Chicago Regional Advancement Center the second Tuesday and Wednesday of each month. Also a newlywed, Bennett is looking forward to establishing roots in northern Indiana with her husband, who is beginning his career as an optometrist in the area. In addition to assisting IU alumni with their job searches, Bennett also offers career management and leadership coaching to help alumni attain their career goals. "Whether a person is currently employed, or looking to re-enter the job market, looking for a job or managing a career can be daunting," said Bennett. "I find it very rewarding to help my clients successfully navigate the process."